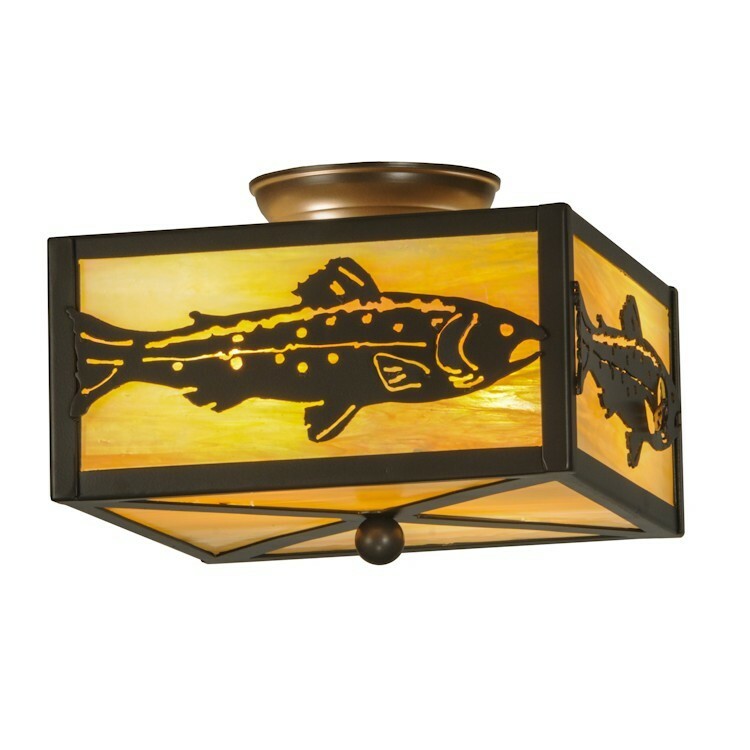 A playful Trout accents this wildlife sport inspired flush mount ceiling light. 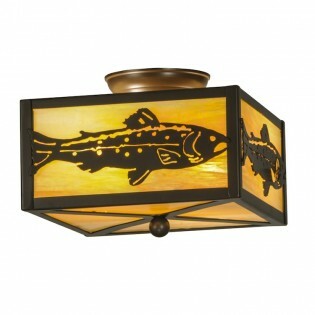 The rustic fixture is finished in Craftsman Brown and has Beige art glass panels. Made in the USA.